We will now take a panoramic tour through current Nicaraguan cinema, and then a chronological tour from its inception up to the year 2000, drawing mainly on the book A la conquista de un sueño (Conquering a dream) by the Nicaraguan historian Karly Gaitán Morales, and on interviews by the author of this article with contemporary cinematic figures and connoisseurs. Laura Baumeister in a filming day. Cinematographers in Nicaragua have developed experience in both documentary and fictional genres, with achievements having been by both professionals and amateurs nationally. The most recent efforts have been in the hands of private enterprise, because today there are no supporting institutions or state agencies to finance the art of filmmaking. As far as production is concerned, filmmaking is doing well at present. Professionals and amateurs with finished works (some deserving of international awards) are coming up with new offerings, and other works are already in progress. One film that has brought much recognition to the country and its cinematographers is La Yuma (2008), directed by Florence Jaugey, a French woman living in Nicaragua who founded the production company Camila Films, which released the work. The star of the film is the Nicaraguan actress Alma Blanco, who plays a girl of the poor districts of the capital where she faces social and familial challenges. The film represented Nicaragua at the 2011 Oscar Awards. Jaugey and her husband Frank Pineda deal with topics of the reality of Nicaraguan life from a social point of view. That is their inspiration for storytelling, Jaugey told ViaNica.com. Their other productions include among others La pantalla desnuda (fiction), and Días de clase, El engaño and Girasoles de Nicaragua (all documentaries). In the other direction, there are young Nicaraguans who have studied abroad and are producing films outside the country, such as Gabriel Serra, who studied at the Centro de Capacitación Cinematográfica in Mexico (CCC, Cinematographic Training Center), one of the best Latin American schools in this field. In 2015 his film La Parka (funded by the CCC) was nominated for an Oscar for Best Short Documentary. Influenced by the new Mexican cinema, it deals with crude and violent themes. In 2017 is started to film Wal-ter, a documentary film about outstanding Nicaraguan singer song-writer Alejandro Mejia. Groups of young people exist with new offerings for Nicaraguan cinema. One of these is Cierto Güis Productions, which has received special mentions particularly in the Central American Icarus Festival. The group was initiated with the completion of a short fictional film titled Ruteados (2013), which presents five connected stories on a public transport bus. They also produced the documentary Si buscabas (2014), which journeys through the history of Duo Guardabarranco, one of the most important bands in Nicaragua. We can not ignore the documentary called The black creoles (2011), produced by Luna Films, which has traveled around the world and gained international popularity. There are also filmmakers like Laura Baumeister (who also studied at the CCC) and Tania Romero, productions of both of whom have rated exposure in events parallel to the Cannes Film Festival. One of Romero’s productions is titled Hasta con las uñas: mujeres cineastas en Nicaragua. In the same way, there are a variety of other film productions in the country that likewise have rated awards. Many have been screened in festivals produced in the area, like the Central American Icarus Festival, the Iberoamerican Cinema Expo, and others. Currently there is no film school, which limits the aesthetic and technical level of young producers. However, there are associations like the Cinemateca, founded in 1979, and the Nicaraguan Cinematography Association (ANCI), which are responsible for supporting, disseminating and promoting the cultural art of cinema. As for film presentations in the country, they are mostly commercial. A variety of cinemas exist, mostly in the capital Managua, which present films from Monday through Sunday at different hours of the day. But there are also venues presenting alternative cinema, such as in the French Alliance, the Justo Rufino Garay Theater, and other institutions interested in this type of culture. Although it is very difficult to group movies into single genres or themes, as each artist has his own interpretation of the reality around him/her and the freedom to express it as desired, we can say that each film produced in Nicaragua has been marked by the history of the country, i.e. by war, revolution, poverty and everyday life. Our chronological tour in Nicaragua begins in the 1880s, when the performing arts began to take on greater importance with the construction of the Teatro de Leon, now known as Municipal Theater Jose de la Cruz Mena. The episodes listed below are based on the previously mentioned book, A la conquista de un sueño. Word has it that in Central America at the time there were French enthusiasts shooting landscapes, people, streets and buildings. These films were called "visitas". One of these that has been found, according Karly Gaitán, were pictures of Nicaragua in Muchachas de Centroamérica vestidas para fiestas de domingo (Central American girls dressed for Sunday parties, 1897). In early December 1899 the first cinematograph apparatus arrived in Nicaragua, in pieces inside a metal trunk. As Karly reports, its owner was a Mexican named Lagarreta. Gaitán in her book called this period “the Age of Light”, when film was "discovered" and began to be known by the public. This type of film often presented various images without much narrative or plot. Film at the time was in the hands of private enterprise. It was a simple curiosity and concerned merely cinematic presentations attended by the poorest to the richest. Being cheap, it began as an activity of the working class. Then it became a social event with high-priced tickets, where businessmen and students not only enjoyed the film but also took the opportunity to show off their best clothes. And finally it was an activity for everyone, thanks to the various presentations in more than forty theaters, with ticket prices lowered by competition. The first cinematic presentation was in 1900, in the first Managua movie theater, the Castaño, located to the south side of the National Palace, which had been recently built in 1894-1896. According to historian Gratus Halfermeyer, "A short film (...) motivated in natural scenes" was screened that night, projected with the early Lumière cinematograph. Other films presented were The lady wears the pants and The marriage of the son of the devil, with satirical and controversial issues, in addition to Sorcerer Arab and The heart is stronger than reason, which were the most acclaimed by the public in this country. By 1925 there were already Nicaraguan productions, although there are no records of the films and their producers. In that year the first Nicaraguan Film Academy was founded, by Adam Diaz and the Guatemalan Carlos Mathew. It functioned as a studio and was not only for display, but also gave lessons for film actors. In addition, Diaz and Mathew created the National Cinematographers Award for either Nicaraguans or foreigners. Throughout 1927 and 1928 fighting broke out in the north of the country, ringing an alarm for the social movement against US activity. These conflicts were recorded in the Official Films produced by cameramen of the US Marine Corps. These recordings were made not only as artistic film recordings, but also as propaganda to present the US intervention to the world as a "civilizing" action in a "wild", “undeveloped” country. Social events and activities were filmed, as were colonial architecture and curiosities of the country, people, and culture. The social life and entertainments of the Marines in the country were also shown. One of the presently most recognized and remembered takes of the time is when Sandino, leader of the Nicaraguan resistance against US occupation army in Nicaragua, visited Mexico in 1929. Paramount made a film in which he appears for three seconds, taking off his hat to greet the cameraman. On 30 May 1930 the first sound film was screened at the Margot Theater in Managua. This type of film caused great impact, Gaitán said in an interview with ViaNica.com. It existed with both original and dubbed voices, the dubbed version being more expensive. During the Managua earthquake 1931, cameramen of the US Marines took to the streets to film the ruins, wanderings, trash-burning, wakes and funerals. 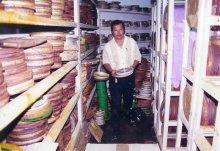 It was a film of 35 mm (the capacity to project a movie), which showed the pain and anguish of the people. Then, during recovery after the earthquake, the cinema was the main cultural and entertainment activity in cities of the Pacific and North of the country. From 1937 to 1940 “news items from around the world” were produced, in which "Images of War in the World" were presented in theaters before movies. Among these images appeared shots taken in Nicaragua. In 1943 the Mexican Leo Anibal Rubens, who since 1939 had sporadically made documentaries in Nicaragua, was hired to produce documentaries and current-events newsreels by Anastasio Somoza García, dictator and head of the country’s National Guard. 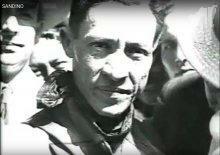 Many of these newsreels were shown in Latin America, also in Italy by agreements with that country. Rubens’ productions did not address real issues objectively, but showed only part of the coin. One of the shorts, for example, had as its topic the unveiling of a statue of Somoza. At around the same time, in 1944, films produced in Hollywood began to reach Nicaraguan screens, including those featuring the native-Nicaraguan actress Lillian Molieri, who was born in Managua. Her most famous film was Anna and the king of Siam. Somoza then founded the first Nicaraguan film production company, Nica Films, with studios located half a block north from the southeast corner of General Hospital. Discarded film equipment from Hollywood was brought in to start production. With the help of Rubens and some technicians the company began to produce the first film, but it remained only in its initial stages and the company closed because filming was too expensive. Documentaries produced by Rubens include La Guardia Nacional de Nicaragua patentiza al jefe del estado su admiración y completa solidaridad; Managua, la ciudad que se negó a morir; Nicaragua, tierra de esperanzas; Arriba Managua; and Así es Nicaragua. In 1950, Somoza also commissioned a new film about a women’s baseball national championship. 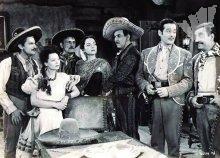 In 1956 the Mexican Valentín Gazcón visited Nicaragua for the second time, to produce the film Rapto al Sol (1956). Rapto al Sol was recorded in 35mm, shot in color and directed by Fernando Méndez. Although there was Nicaraguan involvement in the executive production, the film was purely Mexican. The plot is a melodrama supported very little in the quality of the acting and lacks dramatic action, as Gaitan concluded in her book. From 1958 to 1960 the first purely Nicaraguan film (cast, production, locations, everything) was produced, in black and white. It was called El Nandaimeño and was directed by Benjamin Zapata. 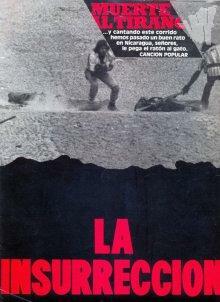 During most of the 1970s, the productions of Nicaraguan cinema were merely documentary films of the Somoza government. Towards the end of this period, in 1978, Herty Lewites, a leader of the public relations and propaganda guerrilla movement of the Sandinista National Liberation Front, suggested the necessity of producing a film. Thus the production company Istmo Film, made up of four Costa Ricans and the Nicaraguan writer Sergio Ramírez Mercado, came into existence, with the primary project of making a documentary film entitled Patria Libre o Morir to gain the political support and sympathy they needed to awaken the world to the Nicaraguan people and their struggle. This was because a war was going on in the country to defeat the Somoza dynasty, ending with what is known as the Sandinista Revolution in 1979. During the filming of this documentary history was moving very fast, and the filmmakers had to pay attention to all the current events and treat them with urgency. This included filming, interviewing, and sharing with the guerrilla warriors. Nothing would take place for weeks, and then everything at the same time,with cameras being mobilized from one place to another according to Gaitán. After the triumph of the Revolution, the Cuban documentary cinema influenced the new Nicaraguan cinema to the promotion of the proletarian masses rather than of government propaganda, as had been previously. INCINE, the Nicaraguan Film Institute, was established in league with the Cinemateca National. Consultants and cameras were brought from Cuba. There were new filmmakers. Wages were paid through donations and by state support. They could have whatever was needed. "It was like a little Hollywood," Gaitan said in an interview. They were learning everything; as for example how to zoom the camera. In 1982 Chilean Miguel Littín came to Nicaragua to make one of the most influential Nicaraguan films, Alsino and the Condor, which is about US interventionism and the Nicaraguan quest for freedom. It was the first color film made in the country according to Gaitan, and was nominated for Best Foreign Film at the Oscars the following year. Littín also produced Sandino in 1988, with support from Mexico and Spain. According to Gaitan the content of this film entered the news, making Nicaragua famous. Other productions of the time in the country were the Hollywood films Walker by Alex Cox and Latino by Axel Wrestler, both were nominated for Oscars; Sanctuary and Storm, produced by Mexicans; The Resurrection, a German production the script of which was written by a Chilean; and The President by Manuel Octavio Gómez. The Film Institute was well financed until 1984. Then, because of the contra war and an embargo imposed by the US, the state could not continue to finance it, as it needed to invest in trucks, food, weapons, and clothing. "In a country where the issues of war dominate, culture is always sacrificed", as cinema was in this case, Gaitan commented. There was a crisis of layoffs, and funding was sought for the cinema separately and outside of the country. It was during this period that _Carla's Song_ (1996), one of the most important films of the time, was produced and released. With the British Ken Loach as director and costarring the Nicaraguan actress Oyanka Cabezas, it won two Golden Palms at the Cannes Film Festival and featured a story that took place in the time of the Revolution. Since 2000 Nicaraguan cinema has been characterized more by amateur productions, many of these experimental shorts and encouraged by art festivals such as Icarus. It is thus important to point out that films made prior to 2000 were, in contrast, produced with a strong social influence of the Revolution. The "The history of cinema in Nicaragua" theme was developed for ViaNica.com by Stephany Cuadra in August 2016. Stephany is a professional social communicator who worked as an intern in ViaNica's editorial team that year. Karly Gaitán, writer and historian. Ana and Alvaro Cantillano, Cierto Güis Production team members. Pictures: Courtesy of Karly Gaitan, Cierto Güis and Roger Solorzano Canales.